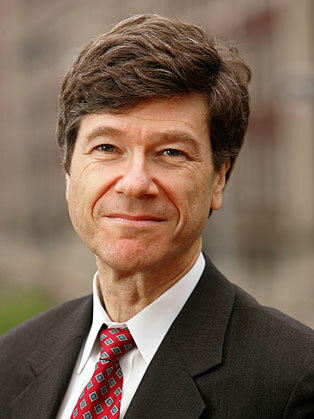 Jeffrey Sachs is internationally renowned for his work as an economic advisor to governments in Latin America, Eastern Europe, the former Soviet Union, Asia and Africa. Widely considered to be the leading international economic advisor of his generation, Jeffrey Sachs has pioneered innovative approaches to economic development, poverty alleviation, and enlightened globalization. In 2004, and again in 2005, Time Magazine named him one of the 100 most influential people in the world.The New York Times Magazine called him “probably the most important economist in the world.” The French magazine” Le Nouvel Observateur”, named him one of the world’s fifty most important leaders on globalization. Jeffrey is the author of two landmark books on enlightened, sustainable global development. “Common Wealth: Economics for a Crowded Planet” warns that global economic collapse lies ahead unless we embrace a new economic paradigm that is inclusive, cooperative, and environmentally aware—all achievable goals.In his New York Times bestseller “The End of Poverty: Economic Possibilities for Our Time”, professor Sachs offers a thrilling and inspiring big picture vision of the keys to economic success in the world today. Jeffrey Sachs is the Director of The Earth Institute, Quetelet Professor of Sustainable Development and Professor of Health Policy and Management at Columbia University. He is Special Advisor to United Nations Secretary-General Ban Ki-moon and has held several other highlevel advisory positions in the international sphere. Professor Sachs has advised governments in Latin America, Eastern Europe, the former Soviet Union, Asia and Africa, as well as a host of international development agencies. Jeffrey is part of the ethics board for the tech and AI giant DeepMind, which was aquired by Google in 2014.